Clients downsized from an 8,000 sq ft Encino English Tudor to a 4,500 sq ft Brentwood Mediterranean villa. We started with a blank palette, luckily the clients were not afraid of color. The finished home was a striking combination of elegance that reminded the couple of their European travels and comfort living. 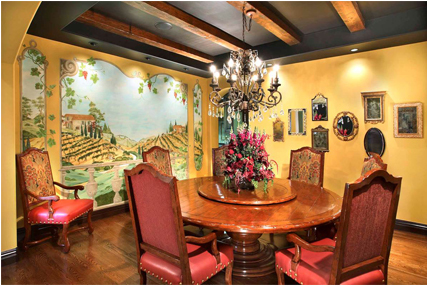 Oscar winning producer and wife requested old world charm for their new residence in Beverly Hills. 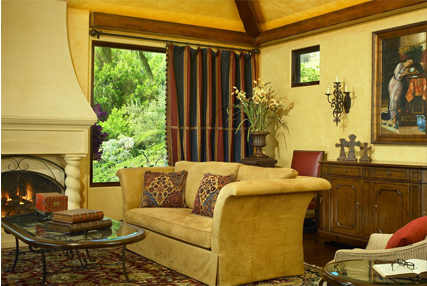 Loving care was used by expert craftsmen to apply old world faux finish plaster to walls. Leaded glass windows were designed to highlight the double volume entry and provide a peaceful focal point in the master bath. 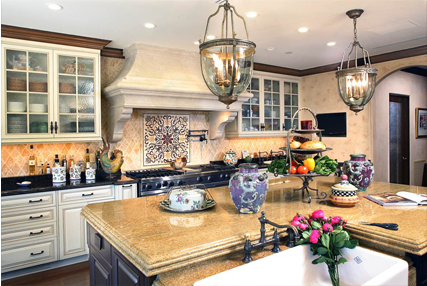 Gourmet kitchen can handle small gatherings as well as large soirees. Our clients purchased a fairly contemporary house. They lived in it for about two years and then decided their dream was to transform the house into something with a Spanish flavor. After diving deep into Spanish interior and architectural history, we decided to combine Byzantine and Moroccan elements to achieve the look our clients wanted for their dream house. Fernando Diaz & Associates was once again honored to be among the designers selected to participate in the 2013 Greystone Mansion Showcase in Beverly Hills. 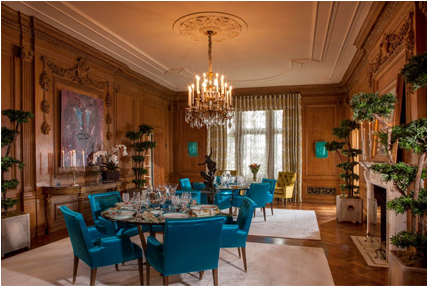 Fernando selected the Dining Room and Cary Kravet as his inspiration in the showcase dedicated to 'The Titans of Business and The Best of Design'.